In a not very surprising move The Sun has today confirmed that as from the second half of 2013 it will be charging people to see its content online. Before the start of the next football season it is to introduce a paywall and users will have to pay a certain amount of money per month to read its stories and watch its videos. The August date is significant as it will be the first time that the paper will be able to show clips of goals and match highlights from the Premier League. News International, which owns The Sun, already has several papers behind a paywall including The Times. At the moment users pay £2 a week to subscribe to the website or £4 a week if they want to also acess the iPad version. Quoted in The Guardian Mike Darcey, the chief executive of News International, said the parent company’s current position – which allowed millions of readers to get the Sun’s content for free – was “untenable”. It isn’t the only paper that has announced its intention to charge readers for stories. The Daily Telegraph has also confirmed that it will shortly introduce a metered paywall system. It will allow telegraph.co.uk users free access to 20 online articles a month. After that, readers will be charged £1.99 a month (or £20 a year) for access to further online content and to the Telegraph’s smartphone apps. There will also be a full digital pack, which includes access to Daily Telegraph and Sunday Telegraph content on tablet devices plus loyalty club membership for £9.99 a month (or £99 per year). The move has already sparked off a big debate on Twitter about whether The Guardian should follow its two rivals and erect a paywall. At the moment you pay £9.99 for its iPad app enabled edition per month, but the website is still free. The issues for The Guardian, and in fact all the papers, is that they are having to manage declining revenues from their printed publications as fewer people buy the physical versions. Also advertisers are increasingly favouring online ads, and in some instances creating their own content and seeding it via social media, over print ads. The downside of erecting a paywall is that the number of people who read content on the site collapses. There was a rumour not that long ago which hinted that brands weren’t targeting The Times as it had so few online readers. In their defence papers behind paywalls often point to the quality of the readers they have, in that they are loyal and committed to the paper and its values and not just dipping in and out of the site via a search query. So what can papers do if they don’t want to charge? One route is to be ultra populist in the stories they run. The Daily Mail is now the most read newspaper website in the world largely because of its never ending run of celeb based stories. Its proprietors looked at the success of sites like DMZ, Popsugar and Perez Hilton and replicated that type of content but produced lots more of it. The Mail has always suggested that its massive online circulation means that its website is at the very least making up for revenues lost as its print edition declines. The problem for The Mail though is that as much as it would like to convice advertisers it is a serious paper with a large number of readers exploring its higher value content, most of its readers are in fact checking out Taylor Swift’s latest outfits. The other problem for any UK paper, as opposed to US ones, is the elephant in the room aka the BBC news website. If Britons want to find out the latest news they have that site – which is funded via the licence fee – as an option. This means that to get people to pay for their content newspapers need to offer much more than just news. 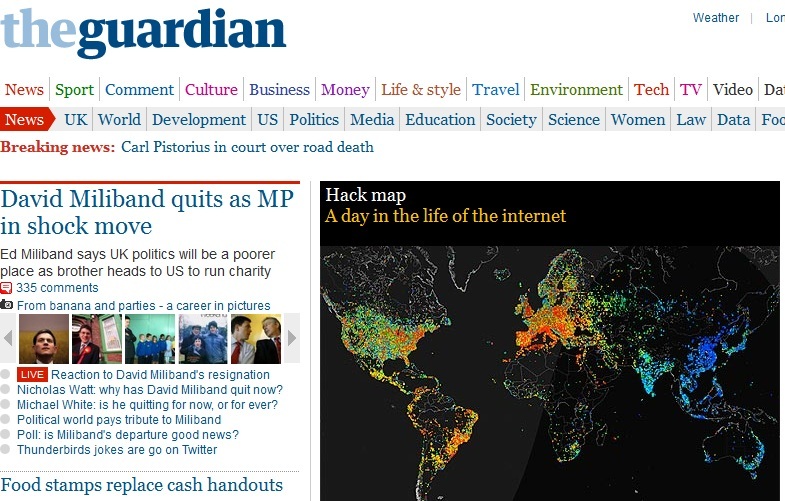 The Guardian, for example, has been successful in niches, for example its music/style/environment pages. But it has also struggled to compete in other areas such the tech space where it faces a huge number of rivals. Many publishers now see video as the key, including The Sun, but what kind of video content are people going to pay for? Even the most attractive – football – isn’t actually that compelling a proposition. Are people really going to pay a monthly subscription to access the site on the strength of some Premiership goals and highlights that will be available elsewhere on the web (possibly not legally…). Ultimately it is a matter of making the sums add up. As for The Guardian, it has a huge online readership, a good deal of loyalty from its older readers (I do wonder if anyone under the age of 25 has any real loyalty to a newspaper now) and some of the best content on the web. However it is committed for now to staying free for readers. The problem is that as it has re-shaped its editorial output over the past few years (with a significant cut in the number of journalists) some pundits have suggested that the standard and influence of its content had declined. Personally I think it needs to follow The Times and institute a paywall sooner rather then later and focus on a paid for future with a significant chunk of that income being invested in its content creation. If it leaves it many more years it may find that fewer people feel loyal enough to the paper to actually pay a subscription. So would you pay for a subscription charge to read a paper?